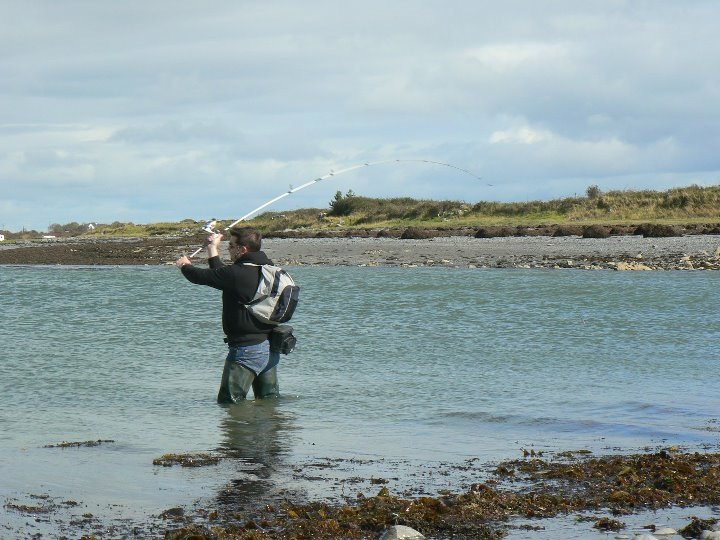 IFD: Conor Mountaine is an East coast angler who moved to Galway in 2005. 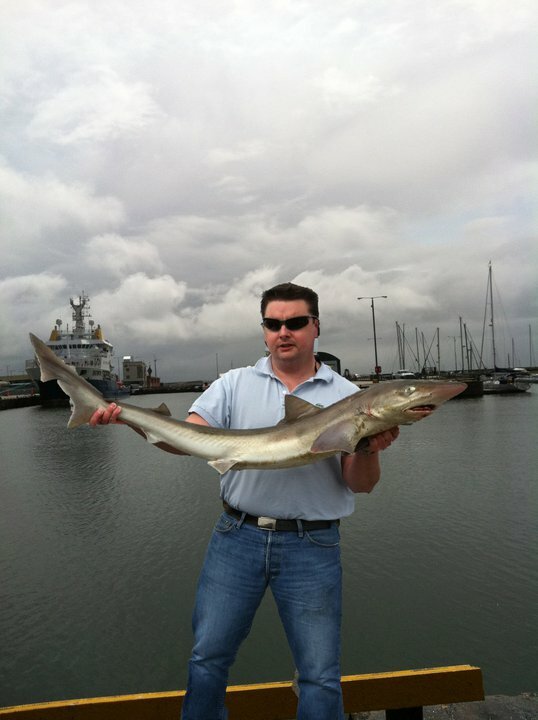 He is now the club secretary for the Galway Buccaneers and one of Ireland’s top shore anglers. So over to Conor now for his interview…. What was your introduction to fishing? My first introduction to fishing was through my Grandad. He was from Lucan which backs onto the Strawberry Beds and was a keen fisherman. Just as a young child going into his garage and seeing all the fishing gear I was just fascinated. He used to fish on the rivers and also loved his sea fishing. I remember him making his own spinners, tapping them out with a hammer in his garage, and that was the start of my intrigue with fishing. The folks have a place in Wexford and as a kid we used to spend all our summers down there. My friends Dad used to fish on the beaches around Ballymoney and we started tagging along with him catching small flounders, dogfish and dabs. Then my Dad went and bought us rods when I was about 7/8 years old and off me and my older brother Niall went to the local river with these rods and mackeral feathers of all things and that will show you how little we knew! How did fishing become a lifelong thing? Well for me those sessions in Wexford and the years that followed had me hooked. Any free time I had I was back down and out fishing. I was scouting out new marks and by the time I could drive I was trying more and more places. 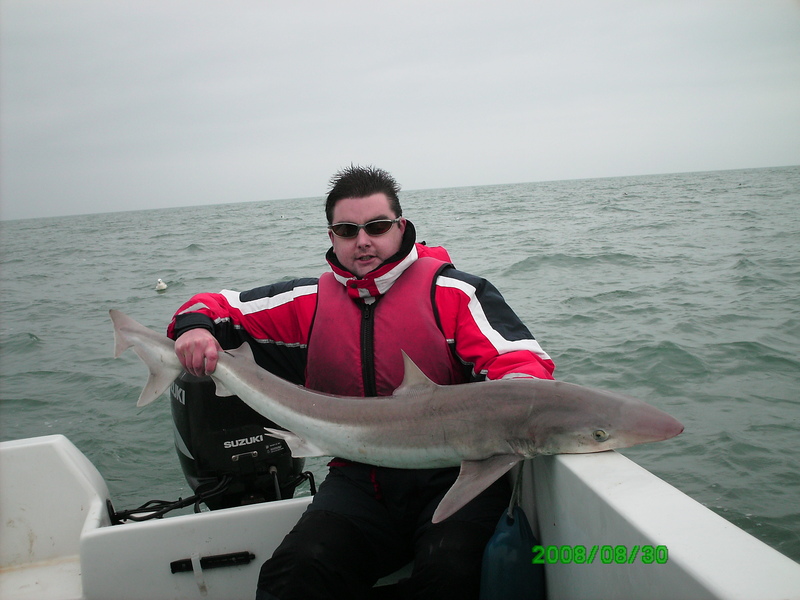 between 1999 and 2000 I set out to fish every available bit of coastline I could between Dun Laoighre and Kilmore Quay it took time but I managed to do in the end. I just love the solitude of it and you get to go to places you would never normally see. How did you get into the match fishing? When I first moved to Galway, I was fishing down around Salthill one day and I bumped into Chris Feeney and Steve Turner. They introduced me to Nigel Melvin and the late Ray Toner RIP and that’s how I joined the Galway Bay club. I worked my way up to club secretary and as a club we got the West Coast Shore League up and running. I was lucky enough to win the master angler with the club and then the Connaght gold medal. I got to captain the Connaght team at the interprovincials. I fished in the home nations with Irish team so it was all a great experience. The proudest moment though was being one of the team managers for the Connacht U21’s and U16’s at the Interprovincials in 2011 which were held up in Ulster. Both groups were a credit to their parents, their province and themselves and it was a great honour to coach them. To cap it all off the U16’s won gold for Connacht which was a very proud moment for all involved. Then a couple of years back in 2012 we set up the Galway Buccaneers club. The club has continued to grow and we now have one of the largest membership in Connacht. We run shore and boat comps in a friendly laid back atmosphere as well as species hunt competitions. So there is something there for everyone and they are a great bunch of lads to be involved with. 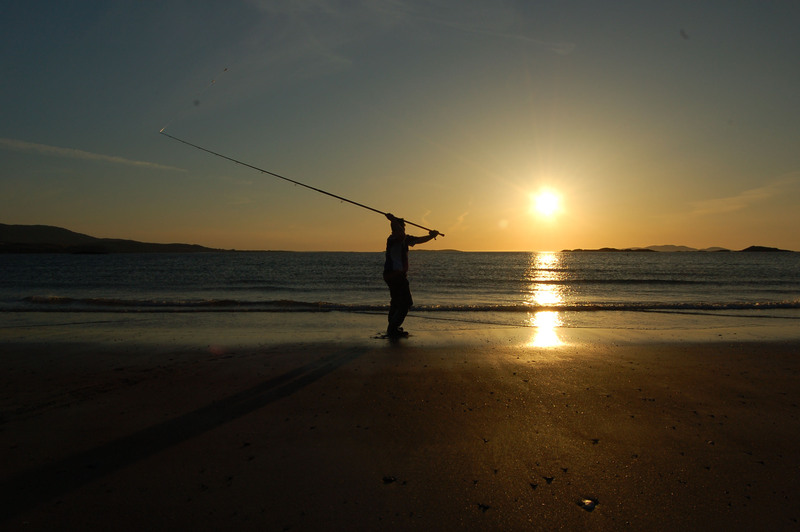 When you moved from Dublin to Galway how did you get used to the fishing on the West coast? Well the first thing i did when I moved over was find the local tackle shops, of which there were three. In each shop I asked where could I go for a few fish and in each one I was told Black head so that seemed as good a place as any to start. I had read about it a long time before in an old Western fisheries board booklet that was out in 1994 and the usual thing with these books was that it mentioned every species! So I started there with plenty of pollock, wrasse and dogs. I remember driving down on that first day and being blown away by the scenery, it was totally different to the East coast beaches. Then I started scouting out marks around the inner bay. The first few trips weren’t very successful with a lot of the marks being very snaggy or weedy. Over time with a lot of hours put in we began finding more and more places, by just driving out through Connemara to spots you never hear of any fishing reports from. Finding places on OS maps, then going and getting permission from landowners to go down and most of them have never been fished, it’s mostly dogs, huss, rays and gurnards stuff like that. There is just so much coastline in Galway and it is very diverse. We have also had good success with bass in the inner bay. 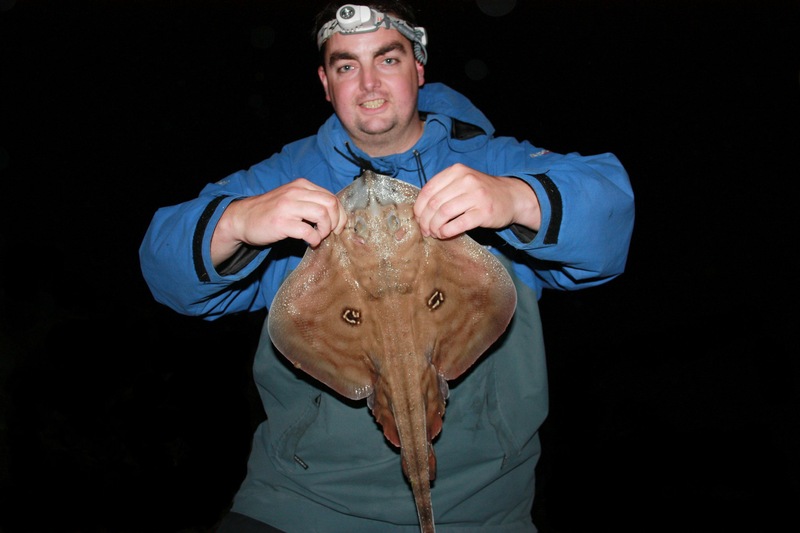 What are the species highlights of fishing around Galway? 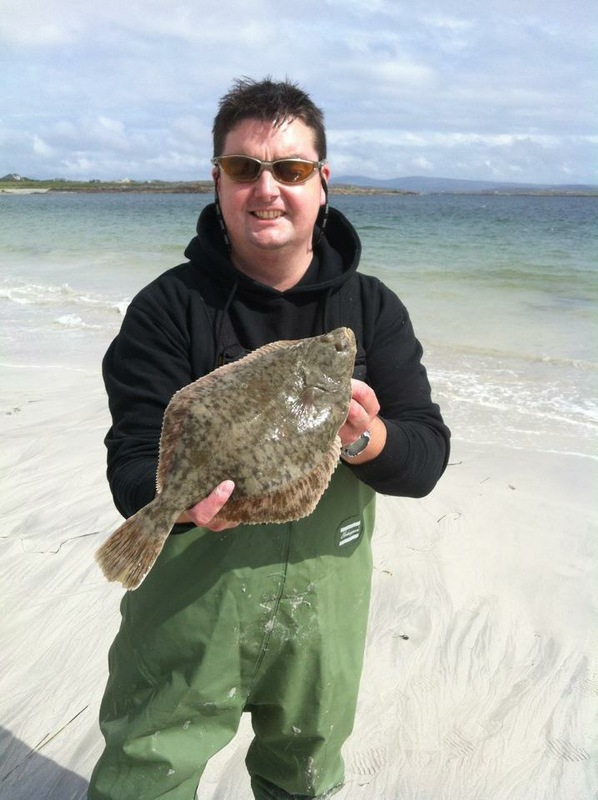 The ray fishing is very good though some of the better known marks have declined over the last couple of years having been over fished, but there are always new marks being found that’s the beauty of Galway there’s just so many locations. The ray are there from the early summer and stay around in good numbers until September or October but in some of the deep water marks they’re there all year round. With the huss, there are several marks where you get huss up to 12 or 13lb regularly. Sep/Oct are prime months for the bull huss. We get them from the rock marks but also on some of the beaches. 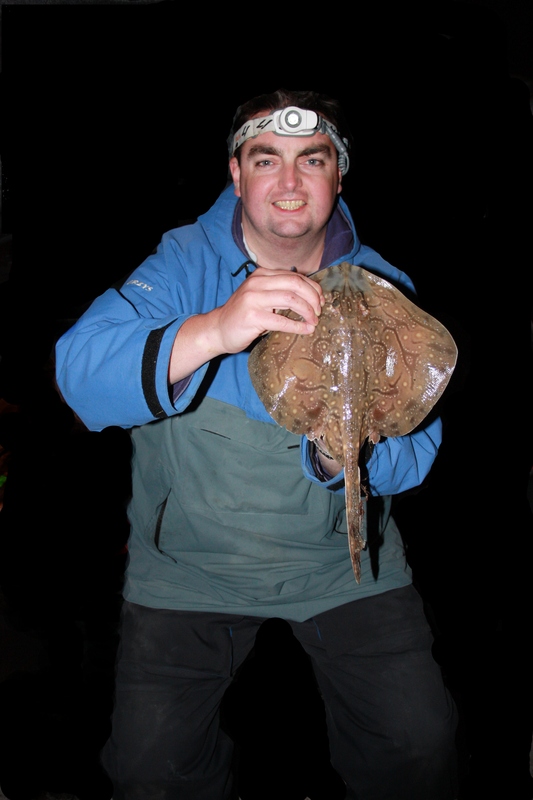 Last year one of the lads Steve Turner had a stingray on his boat (within casting distance from shore) right up in one of the channels of the inner bay, it bottomed out the scales on him. 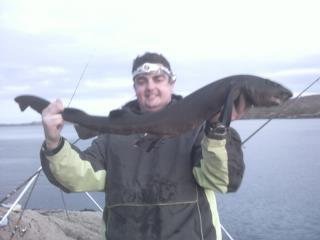 There was also another small one caught out at Salthill so they are there albeit in small numbers. 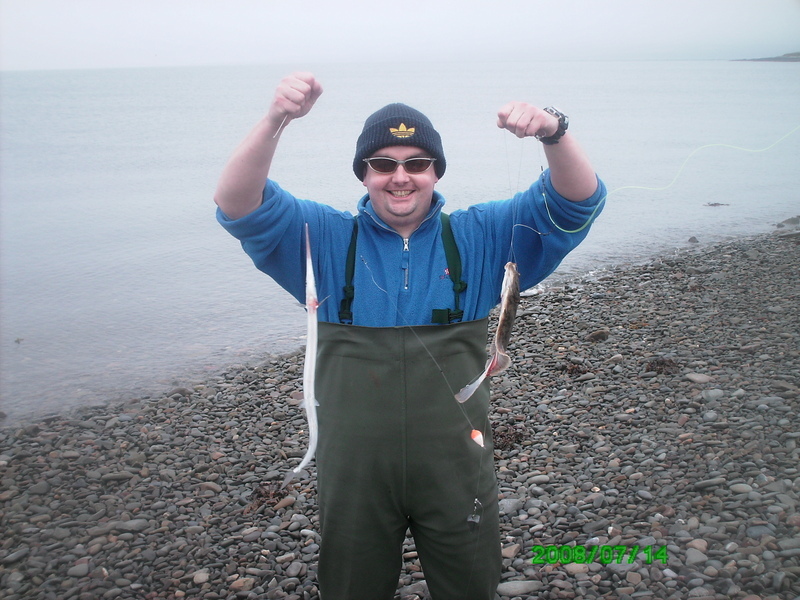 Monkfish have also been caught in the inner bay so who knows whats there really. 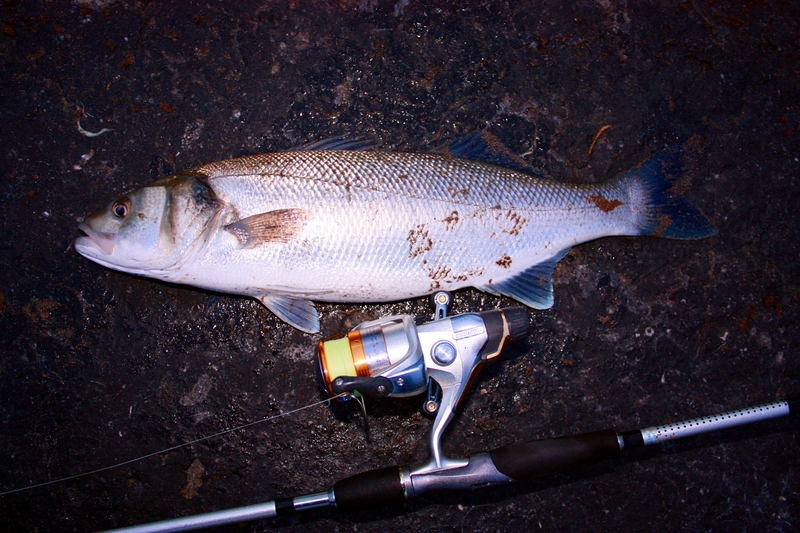 Bass on spinning gear is also great fun and after a lot of work we have found some good spots. 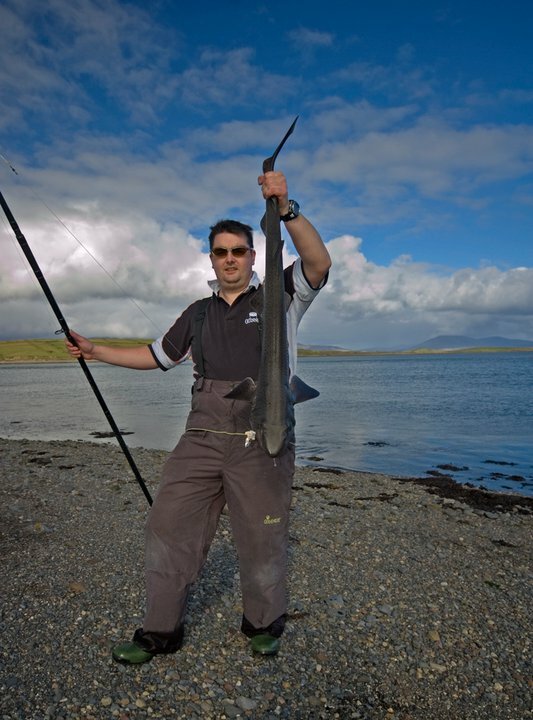 Can you tell us about the tope fishing? I moved over in 2005 and it took till 2010 to track them down. Myself and several of the lads put in a hell of a lot of time and effort into it sussing out marks and tides. It was on one of theses marks that is very tidal with a strong push of water, and you can get rafts of weed coming down the channel so it’s quite a hard spot to fish. 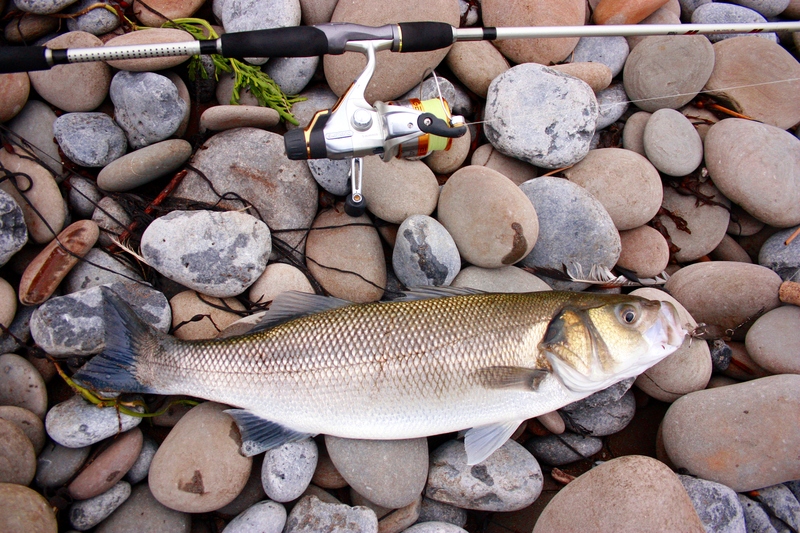 Well the tide was dropping and at about an hour before LW my mates rod went mental and the ratchet started going. That was the start of a couple of years of great tope fishing, and there was plenty of phone calls from guys looking for the mark lol. What have been you happiest catches? The easy answer would be the shore tope after putting in so much effort for them, that would certainly be up there. 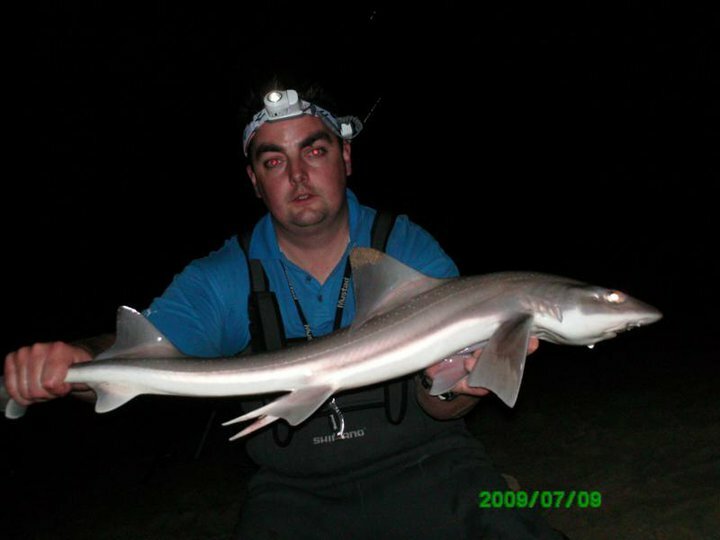 I always loved the east coast smoothie fishing, which on light gear is great fun. 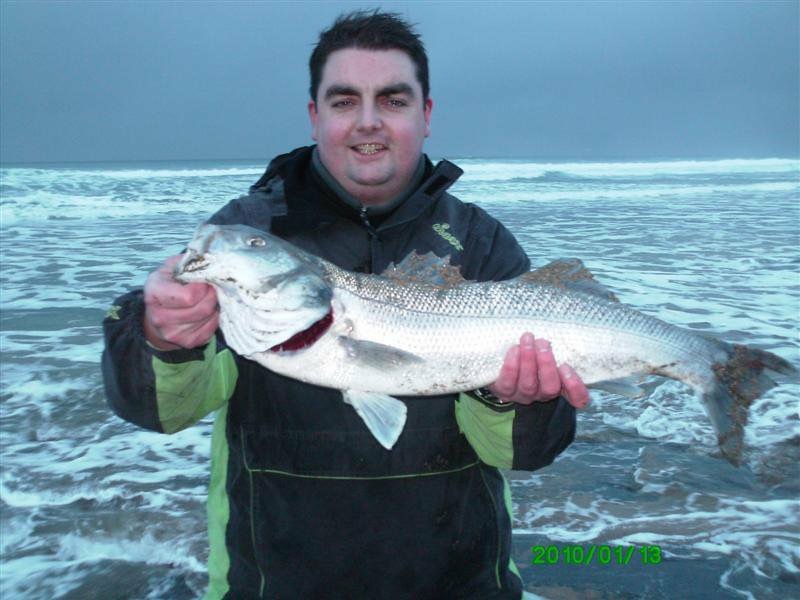 The bass fishing in Galway bay has also been very special. In some of the spots where we are now getting them on spinning gear, I was told why are you fishing there it’s only dogfish so it was nice to be proven right. And to be able to get them only ten mins out from the centre of Galway is very special to me. 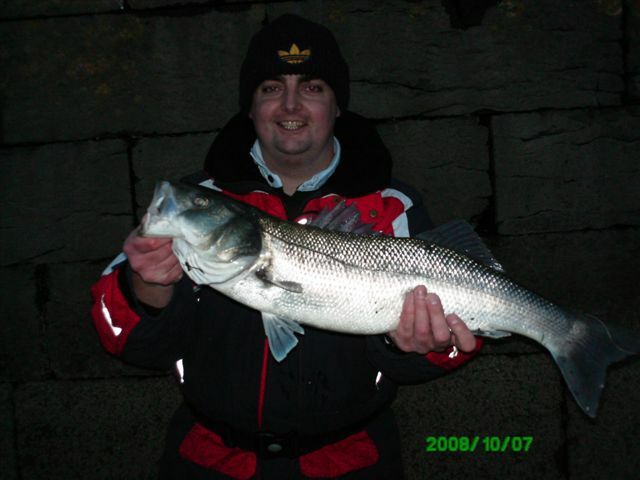 The bass fishing in Galway bay has also been very special. In some of the spots where we are now getting them on spinning gear, I was told why are you fishing there it’s only dogfish so it was nice to be proven right. And to be able to get them only ten mins out from the centre of Galway is very special to me. You also do quite a bit of boat angling, can you tell us about that? Well I prefer the shore angling if I had to choose one over the other, but I do love boat angling. There is nothing like it being out there on a nice day and the fish are on the feed. 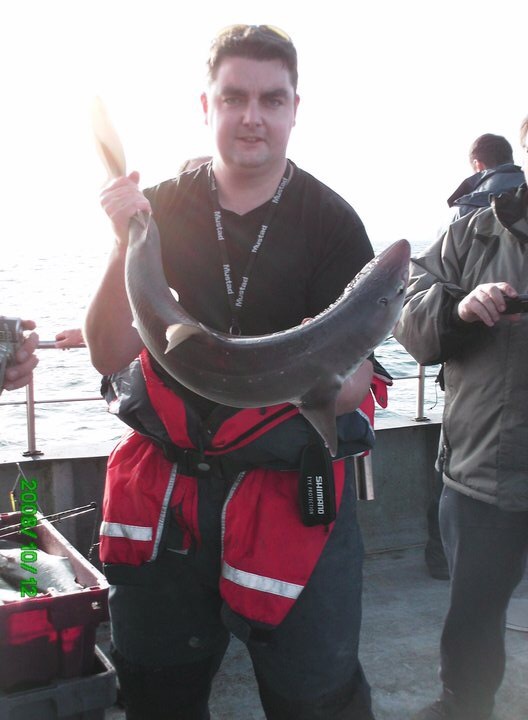 We have fished a lot with Kevin MacGabhann on the Maigdean Mara and we have had some fabulous fishing, from porbeagle , blue shark, big ling, huss, ray haddock, cod you name it. When your out with Kevin the species count is usually around fifteen species. 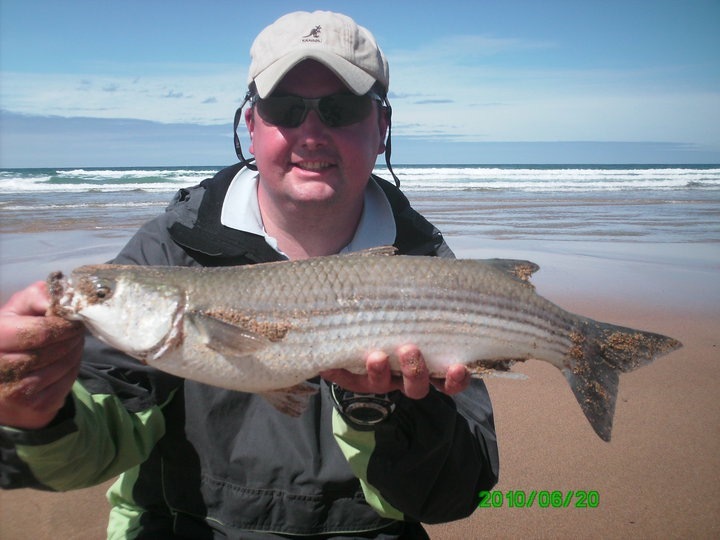 He works hard to get you the fish and he is a top skipper. My buddy Steve Turner also got a boat last year so we are hoping to get out and do a bit on that aswell. We have a few marks we want to try including a deep hole near an island that when ever we pass over the shallows we can see ray sunbathing on the bottom! There are lots of possibilities. Where else in the world would you like to fish? My brother is living over in Australia and my folks went over recently to visit him, and they brought me back a book about the fish species in Australia. It’s a big book and has all the freshwater and saltwater species. You are just looking at some of the stuff that’s available over there and it’s jaw dropping. I’d also like to try the sharking in Namibia and a trip to Norway for some boat and shore fishing. That would be my list! 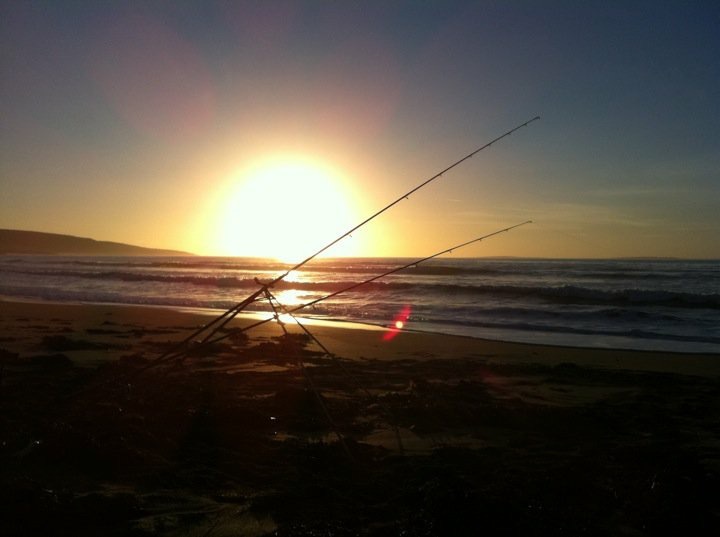 What are your fishing ambitions from here on? I would love to recreate what Jack Shine achieved in the 1960’s by catching a porbeagle from the shore. Myself and two friends have been talking about it a long time and we have some possible spots picked out so it’s just a matter of going for it really, hopefully one day the conditions will be right and all falls into place, it would be a dream fish. Your more than welcome anytime lads…. 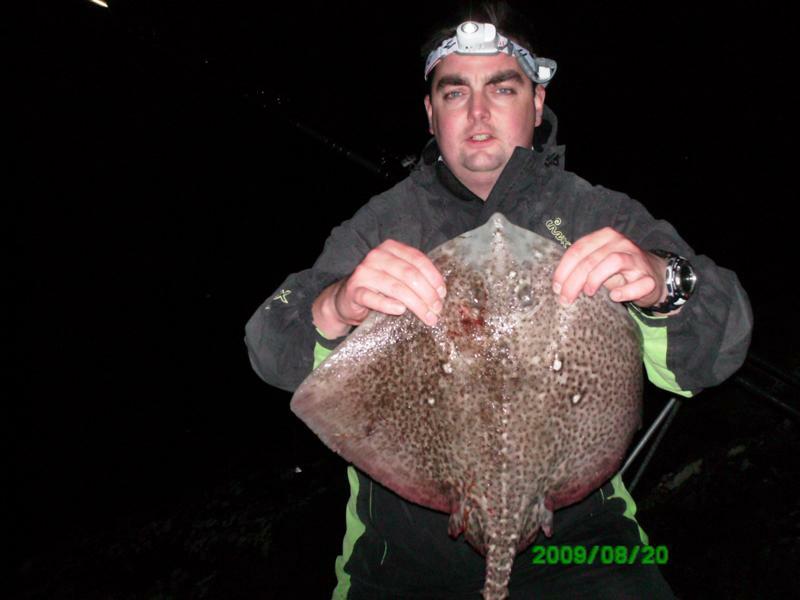 This entry was posted in Interviews, Shore fishing and tagged Conor Mountaine, Galway, Galway Buccaneers SAC. Bookmark the permalink.